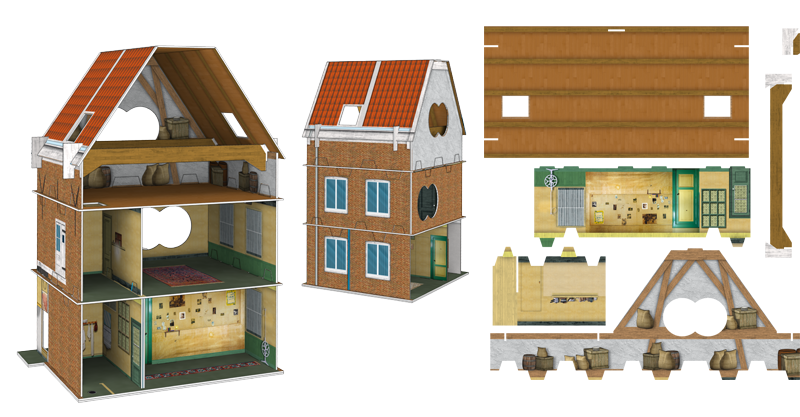 After working many years on a accurate reconstruction of Anne Frank’s hiding place in Amsterdam (which has been nominated for a Dutch Infographic Award), Chantal van Wessel and Frederik Ruys illustrated the construction kit of the secret annex, commissioned by the Anne Frank Foundation and Dutch agency Young Crowds. The kit is specially developed for pupils at primary schools. 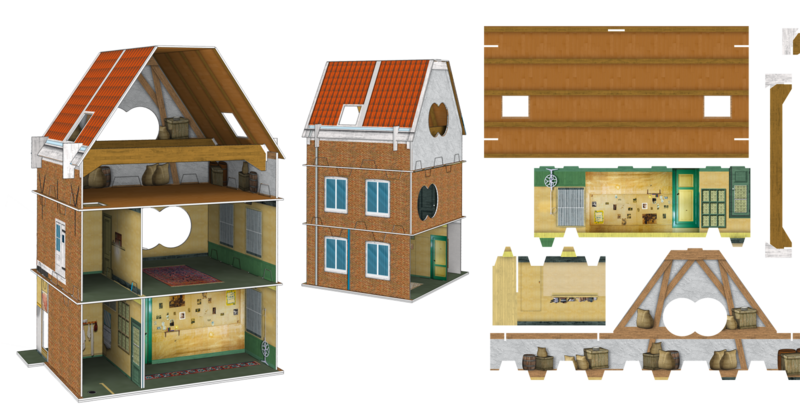 The card board model was cleverly designed by Sybren Terpstra. 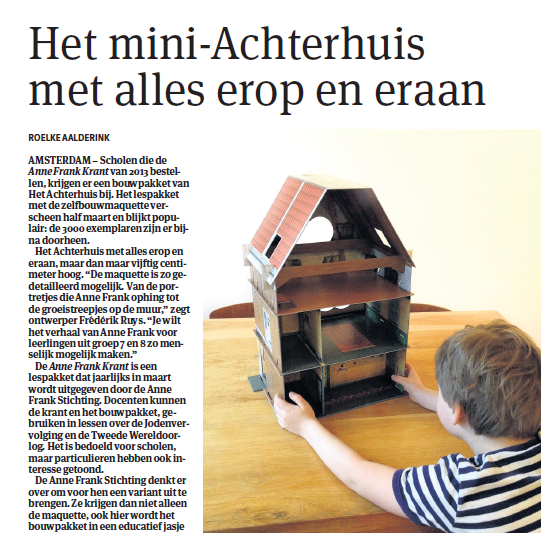 Unfortunately the box is already sold out, but a reprint is being considered. 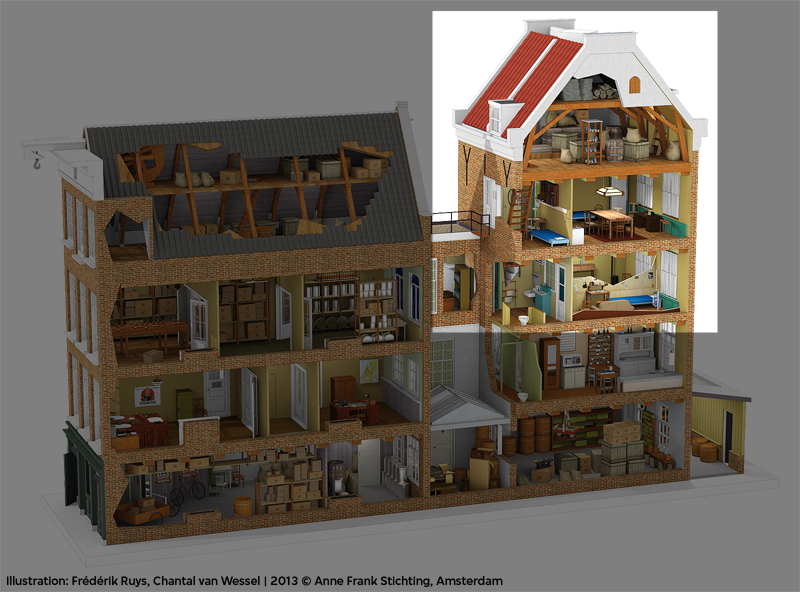 Accurate illustration developed with the researchers of the Anne Frank Foundation in Amsterdam. The box high-lights the secret annex.